HTC has begun sending out invites for MWC 2015, with its latest flagship set to be the main attraction. The HTC One M9 has long been expected to debut at Mobile World Congress 2015, and now it looks pretty much a certainty. The Taiwanese phone maker has confirmed its presence at the tech tradeshow by sending out a bunch of early invites. The special event will take place March 1, just one day before Mobile World Congress kicks off in Barcelona. 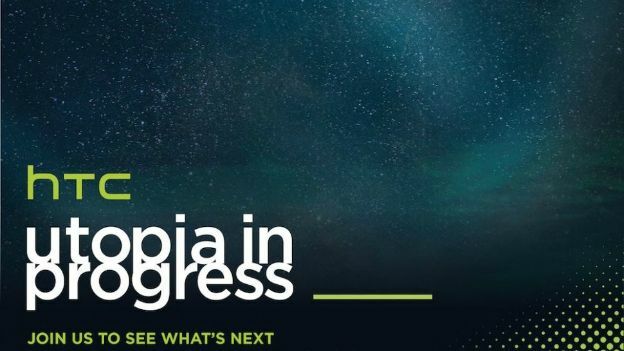 The invite teases "utopia in progress, join us to see what's next,” which is a rather audacious statement for anything other than the flagship powerhouse. The major tech event is home to the latest and greatest mobile devices each year and would be the perfect place to flaunt the HTC One M8 sequel. HTC usually holds its flagship smartphone launches around February or March anyway, so the timing is bang on. According to broadly-tipped specs, the One M9 will sport a 5 or 5.2-inch QHD display, along with a Snapdragon 810 processor, 3GB RAM, 32GB built-in storage, a 20.7-megapixel rear and maybe even a 13-megapixel front-facing camera. Earlier this week we heard that HTC may follow in the footsteps of Apple's iPhone 6 by releasing a larger version of the One M9, dubbed the One M9 Max. While it's a nice thought, we'll have to wait and see if it materialises. This is only the first Mobile World Congress invite we've seen, with plenty more expected to come our way. Joining HTC and its One M9 will reportedly be Samsung, Sony and LG with their Galaxy S6, Xperia Z4 and LG G4 devices. T3 will be on hand at Barcelona, bringing you all of the latest news as it happens. A stunning design with oodles of power inside – but has HTC forgotten about the basics again?